Great news!! Syfy has officially renewed “The Magicians” for season 4! “The Magicians” has been renewed for a fourth season at Syfy, the cable network announced Wednesday. Based on the best-selling novels by Lev Grossman, the series centers on Quentin Coldwater (Jason Ralph) and his 20-something friends as they discover their magical abilities and ward off evil creatures who threaten to destroy the magical world they’ve come to know. In Season 3, which is currently airing, the group embarks on the epic quest of the seven keys to restore magic after it was turned off at the end of the second season. The series has been Syfy’s top performing scripted original among on a Live+3 basis in adults 18-49 for the past three years. The 13-episode fourth season will premiere on Syfy in 2019. 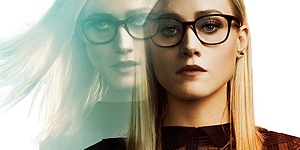 The show stars Ralph, Stella Maeve, Olivia Taylor Dudley, Hale Appleman, Arjun Gupta, Summer Bishil, Rick Worthy, Jade Tailor, Trevor Einhorn and Brittany Curran. John McNamara, Sera Gamble, Chris Fisher, Henry Alonso Myers serve as executive producers along with Groundswell Productions’ Michael London and Janice Williams.